It’s almost time to bring back your Elf on the Shelf, so why not fancy it up and have fun? Whether you keep it interesting and try a new idea every day or only do “special” activities with your elf once in a while, that’s completely up to you. I’ve put together a list of Elf on the Shelf Ideas for your family to enjoy. You can find everything from the elf joining the rodeo to making coffee and more. Not sure what Elf on the Shelf is? Bring the Christmas magic home to your family this year! The original Elf on the Shelf set includes a magical scout elf from the North Pole and a beautiful children’s story book, all in a keepsake gift box. When you adopt this special elf and name him, he receives his Christmas magic and can fly to the North Pole—but only when all girls and boys are sound asleep. At the start of each holiday season, the elf returns to his family’s house to be Santa’s eyes and ears, and every night he travels back to the North Pole to report in. Families can register their elf online to receive an official adoption certificate and a special letter from Santa. We’ve rounded up some of the most fun Elf on the Shelf ideas that you can try at home! As an added bonus, many of these links to these blogs have many OTHER ideas! So, this is a list of 25, which gives you links to so many more! 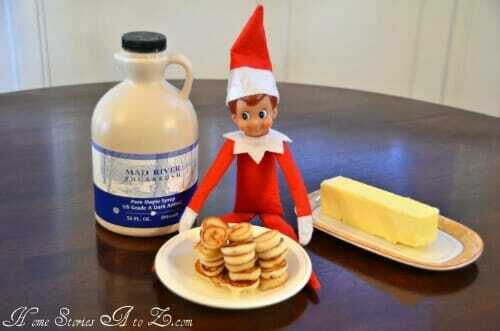 What have been your families favorite activities for your Elf on the Shelf? « Last Chance to Save on Rarely Discounted Magazines! 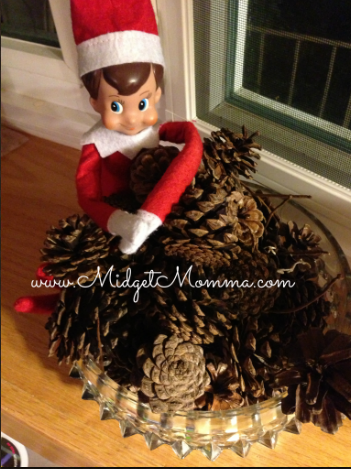 I love all of these ideas and I am so ready for Elf on the Shelf Season! Thanks for sharing Frugal Coupon Living’s! Great round-up, Penny Pinchin Mom!